A suspect in a fentanyl prescription fraud case is seen in this Peel Police handout. A woman who allegedly tried scoring a highly addictive painkiller using fake prescriptions and identification is being sought by Peel cops. Investigators say fraudulent fentanyl prescriptions were faxed to three Mississauga pharmacies last May and July. 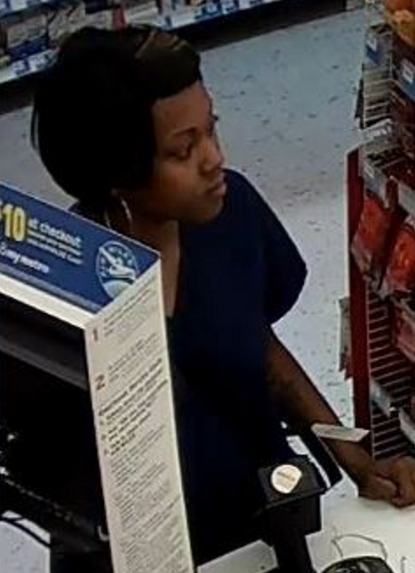 A suspect was turned away from two pharmacies after trying to pick up the drugs, and the woman contacted a pharmacy over the phone on July 7 trying again, to no avail. The suspect is a black female, 25-years-old, standing 5-foot-8. She weighs about 135 pounds with a slim build and has straight black hair with blonde highlights. The suspect used a fake citizenship card with the name Christina Campbell and also used the name Stacey Johnson, say police. Anyone with information is asked to phone the 11 Division criminal investigation bureau at (905) 453-2121 ext. 1133 or Crime Stoppers at 1-800-222-8477.